If you were to swing by our place around 1:30 in the afternoon...give or take a few minutes...you would hear the plunkety-plunk of our family heirloom piano, a passed along gift from an aunt. Although a weekly piano lesson fee is a bit of a budget strain at times, the Hubs and I have determined that if at all possible, ALL of our children will take at least some form of introductory music education. Sweetie Pea has chosen to focus her musical energies on the ebony and ivory, but I don't really have an opinion about what instrument is most appropriate...tuba, electric guitar, drums, or even the nose flute...it makes no difference to me...WHATEVER appeals to each of the Littles. Studies have shown that early music instruction helps develop some of the basic scholastic skills necessary for language and logical reasoning. Music can be a great way to glorify God and minister to others. Taking some kind of instruction...music or otherwise...from someone other than Mom can be quite beneficial for a child in order that they might be challenged by a different teaching style. Sometimes seeing mom as the cheerleader on the sidelines instead of the teacher holding the red pen can be a great way to keep the parent/child relationship in its rightful place. Because I, as the mom, do not know how to play the piano...or the tuba...or the nose flute...a child has to develop the self-discipline to study/practice independently. Learning something that may not necessarily come naturally helps to generate perseverance and determination. Public recitals in church, at a local nursing home, or even for friends and extended family helps develop a comfort level for being in front of a larger crowd. When we enrolled Sweetie Pea in piano with one of my former co-workers at the local Christian school, we assumed that it would be a large financial commitment. And, although, it does take a dip into our monthly budget, it has actually turned out to be a lot more feasible than we had imagined. The reason...It just so happens that the Christian school where she meets for lessons receives weekly day-old-bread donations from a local vendor. These items are up for grabs to anyone who steps in the door. A cart full of free bakery-style pastries, gourmet artisan breads, and plain buns and loaves await us each week. Now granted, some weeks are better than others, but on the whole, the money we save NOT having to buy bread FAR out-ways the cost of the lesson. Chances are, you don't have a bread cart awaiting you. But if you have a desire to provide some kind of music instruction, consider these other budget-friendly ideas. Before enrolling Sweetie Pea, I called all the music centers in our area and talked with numerous moms to determine which instructors would be in our price range. It turns out there is quite a price difference among piano teachers. Pass on the cost of individual instruction and opt for group lessons. They are often considerably cheaper. Is there a skill or a talent that you or your child could offer in exchange for lessons?...babysitting, house cleaning, baking, lawn service? Take advantage of the talents of older homeschoolers. A talented teenager in you local homeschool co-op or church group might make for the perfect music teacher. In exchange for providing inexpensive instruction for your child, they will be developing wonderful leadership skills. In addition, they can even add this opportunity on their transcript or college entrance application. Consider an on-line or video course. Although it is not the ideal option, a web class can still provide substantial, long-term benefits. 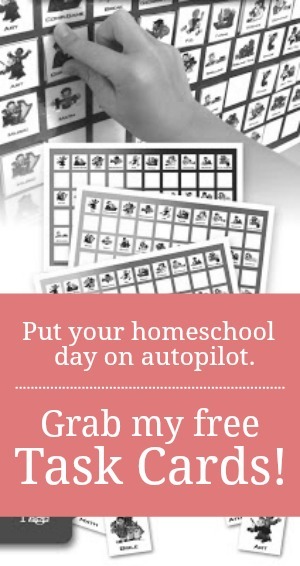 Hello from the Homeschool Power Mom's Facebook page! Nice to meet you! I have been wanting to add music lessons. We have done them for short spurts, but it is a bit harder where we live, hmmm. I just added you to my Google Reader and look forward to following along! Glad to meet you, Amy! I love your tips for finding creative ways to afford music lessons! Do you have any resources or blogs for parents who are teaching their children how to play piano? I know the basics and so I am going through Alfred's beginners books, but I would love to have a resource for fun games and helpful tips that make my daughter's experience more fun. Your daughter is beautiful by the way. Stopping by from the Homeschool Hop. Hope to see you at True Aim. Thanks for sharing! Your reasons about the value of music lessons are exactly the reasons I would use as well. Both my daughters take piano lessons, and now that they are in upper elementary school, we've added an orchestra instrument as well. It is a big expense for homeschooling, but I reduce expenses in other areas because of the importance of music for exactly the reasons you wrote about above. I love your tips on acquiring inexpensive music lessons. Our neighborhood has a Yahoo message board, and we put out a notice that we were looking for lessons. A neighbor -- a mom with grown kids -- began teaching my kids piano here in our home for $15/week. That's a steal in our area, and we don't have to leave home! We're planning to take guitar lessons from a friend who got divorced a few years ago. He misses the camaraderie of home and family life, so he'll teach our kids in exchange for a home-cooked meal . Another good resource people don't consider is the local community college. There are ample "continuing ed" courses geared for children (though they aren't really "continuing" their learning, rather just beginning). Beginner piano offered in a group setting is a class offered locally, and the cost is around $70 for the 12-week semester. Universities sometimes offer similar courses, but the cost is usually higher.